I was asked this week by a meeting planner for my advice on how to find additional speakers for an event that will "wow" her audience. The below is from my email response. What do you think? What did I leave out? 1. Just because someone is smart or has done something cool does not mean they belong on stage. 2. If you hire speakers, always be seeking ideas for those who can present. Keep a file so you have a list on hand when it comes time to make your selection. 3. Know your budget and be upfront with the speaker. Fee negotiation does not need to be adversarial. 4. If you financially compensate some speakers and ask others to speak for free, be open about your policy. 5. When asking a speaker to discount their regular fee, know what you will you offer in return. "Exposure" from the speech alone may or may not actually have value. 6. Invite your speakers to be a partner in the success of your event, not simply to speak and leave. Discover if the speaker plans to participate with your attendees at breaks, meals, happy hours, etc... How will they engage with your audience via social media before, during and after? 7. Ask how many presentations a speaker has given in last two years. Experience matters. 8. Be willing to integrate topics that are not the "same old / same old". 9. How do you want your speaker to be dressed? In today's uber-casual environment you should communicate what the speaker should wear. Have the conversation upfront to avoid being surprised if they are over-dressed or under-dressed. 10. Have an extended conversation with the speaker to understand their personality and make sure there is a connection. If you do not "click" on the phone, follow your gut instinct. Cool Things My Friends Do - Brian Massey's New Book "Your Customer Creation Equation"
It seems I know a lot of people who are releasing books lately. 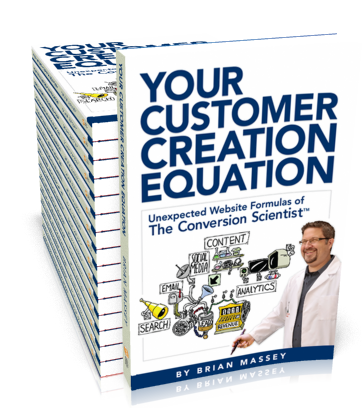 My friend Brain Massey is about to launch Your Customer Creation Equation. Brian is an exert in how to take your company beyond the noise of social media, and make it convert to real business. Conversion is the science of turning Web traffic into leads and sales. It is the art of engaging a visitor and helping them solve their problems. There is no better medium to do this than the Web. When you get conversion right, all of your marketing programs become less expensive. Brian is the consultant to call for making the Web a profitable place for your business. His book will be released soon. Sign up on his website to get more info so you do not miss this important book! 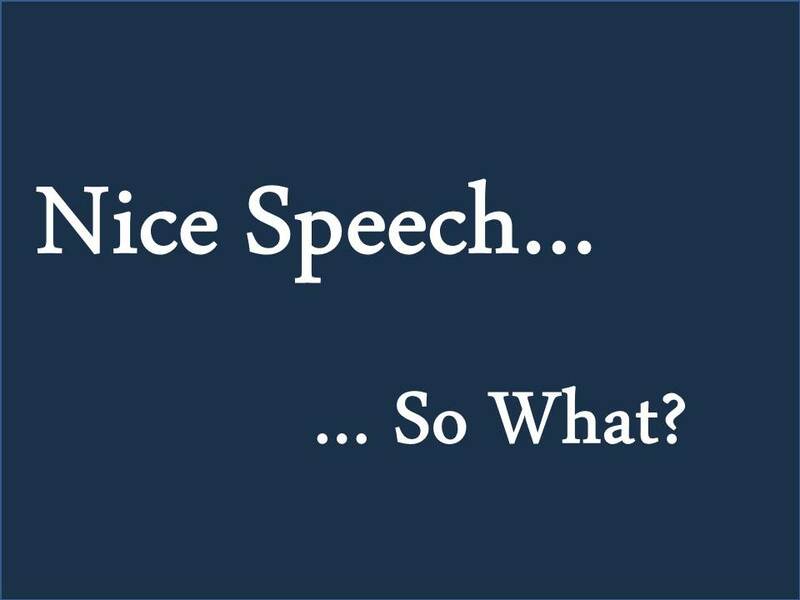 "Nice Speech" Could Be "Polite Speak" - Did You Really Do A Good Job? Executives that stink at public speaking often do not know they stink..... Because nobody ever tells them. In fact, they are encouraged to keep coming up short when they take the stage. What do you say to a speaker after a great presentation? What do you say to a speaker after an average speech that was on the edge of blah? We live in a mostly polite society, so the feedback a speaker hears from an audience can be deceiving. "Polite Speak" could just be idol chit-chat, but too many professionals are taking this to heart and self-deciding they are above average speakers. Many business executives who have to give a speech at a luncheon or conference have never given much thought to their speaking ability. Many have had no training since their 8th grade book reports, but since they are an industry expert they feel confident (or cocky) enough to "wing it". The people who come to events deserve better than unprepared off-the-cuff remarks. But most business speakers are sure they are doing a great job because they are hearing what they think is positive feedback. Several years ago a mentor of mine, Jim Pancero, asked the question "What do you want people to say to you after a presentation?". Most speakers answer that they want the meeting planner and the audience to say "good job". But this is what everyone says, even when the speaker was dull. The response you want to hear, according to Jim, was "What else can you do for me?" Nice speech does NOT translate to "I want to hire you or refer you to others". I have learned to not put too much stock in the onsite praise, but to review the new business that spins off from a presentation (even months or years later). Since my speaking opportunities almost always come from word-of-mouth... this is the most important data point for my business! 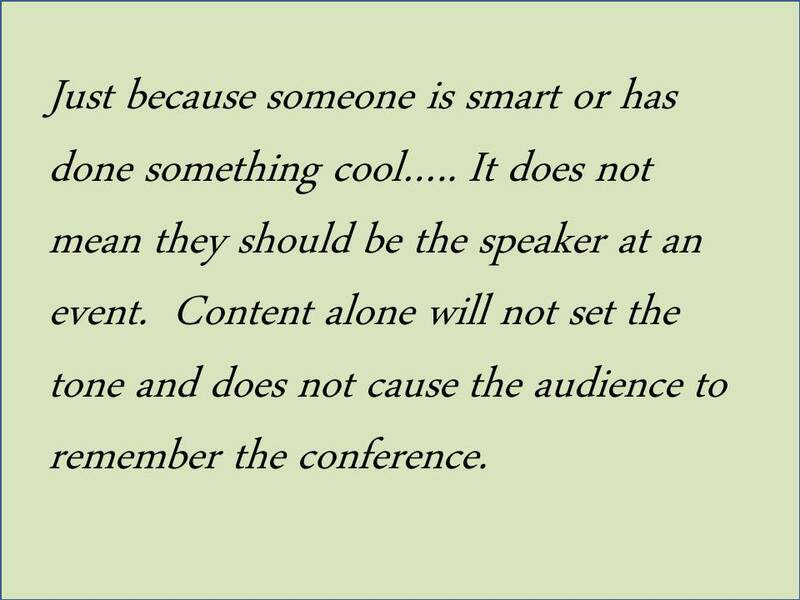 I can be critical of those I watch speak at conferences. Having seen thousands of presentation I have a good eye for how an audience is reacting to a speaker. Too many speakers are business professionals who are there to sell their services to an audience and are not present to serve the audience. Some are so cocky they have no idea how many times they mentioned their own MBA degree during their remarks. Others are happy to meet the low expectations and are not concerned with raising the bar to a higher level as long as they do not forget their place in the middle of the talk. 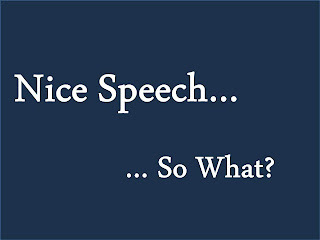 Next time you present to a business audience be suspect of the "Nice Speech" feedback. 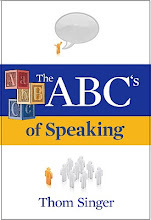 Instead, look deeper for ways to enhance your public speaking skills. Learn from every talk. Challenge yourself and your audience to have greater expectations from your interaction as a speaker and an audience. Don't you love it when you see an entrepreneur come up with a GREAT idea? Today at a networking luncheon I met Amy Braden, owner of Plug & Play. Amy has started a brand new co-location / co-working space that also has an accredited daycare center (with drop in hourly rates). Too often parents of young children who work from home have limited choices - but this is an opportunity that is simply a no-brainer. Amy has taken the "Reese's Peanut Butter Cup Approach" to business by combining two separate things into one new concept. By doing this she has created a wonderful new business serving the Austin business community. Plug & Play is located at Hwy 183 and Anderson Mill. For solo-preneurs or parents with flexible at home schedules, this is what you have been waiting for after too many conference calls where the baby cries the whole time. Plus, since the daycare is accredited you drop the kiddos off for a few hours if you have an important meeting pop up at the last minute. While my kids are too old to need daycare, and I live in far South Austin..... I have no need for this offering, but when I met Amy I knew she had created something amazing. It was a year ago when she came up to me after a presentation. Her whole body was trembling. I don't know her name (let's call her Sally), but our conversation has had an impact on me. Sally's natural showing of emotion about her experiences made her forever memorable. In my speech I had talked about finding small ways to help others, and used an example of people providing advice, free airplane miles, and providing child care when my family faced a medical crisis. My call to action was to find ways to serve others, as your efforts can make a big difference. Herself a cancer survivor, Sally had several stories of how those in her community had assisted during the hours of need. She began to cry. Knowing how much those little acts of kindness meant to her family during her chemotherapy, she asked me "why don't I help others?". She realized while listening to my talk that in the ten years of remission she could not recall herself "Paying it Forward" when others faced tough times. Surely there were times she could have served others, and she did not know why had not done it. There was a young mother in her neighborhood who was having health issues. Sally realized that offering to carpool or bringing dinner on Sunday nights would make a huge difference to this family, but she had never taken action. I hugged her and told her is was not too late to do something, even something small could have a big impact. But her question still rings in my mind, "Why Don't I Help?". I have begun to share this story and asking others why they believe people do not offer assistance to those in need. It is not always as large as things around fighting illness. Sometimes it is driving past the broken down car on the side of the road or helping the elderly man lift his bag into the overhead compartment on a plane. Meeting with a friend (or the friend of a friend) who is out of work and giving advice is worth more to the job seeker than you can imagine. But how many people ignore these kinds of emails requesting a meeting? Referring business to someone who is launching a new company is easy, but do we do it? For a new entrepreneur the first few clients are life changing, and we can all be referral sources for many types of businesses. Often we want to help... we plan to take action... but then we get distracted. The best intentions do not make things happen. Few people have "Follow Through DNA". I am convinced it is more than being busy. Some of the busiest people I know are also the most generous with their time. Too often we do not even notice that others are in need. Have we become so self-focused that we are simply blind to those around us? We trust people because they showed up when it wasn't convenient, because they told the truth when it was easier to lie and because they kept a promise when they could have gotten away with breaking it. I disagree that trust (translate into all aspects of building relationships) does not ever come from the good times and easy projects. He is right that the bigger efforts have more punch... but so few show up for the easy stuff... that even the simplest efforts do make a difference. Many of us desire to be givers, but we show up and start assessing who can help us rather than the other way around. I am trying to notice ways in my life where I can help others. The interesting part is the smallest things that take little efforts are often enough to lift someone else higher. Something as small as a "Re-Tweet" on Twitter can make another person's whole day. 2012 National Speakers Association "Learning Lounge"
Are you attending the 2012 National Speakers Association Conference in Indianapolis (July 14 - 17, 2012)? Regardless of this being your first convention or twentieth annual meeting, this year you need to check out something new.... The Learning Lounge. This alternative learning area is designed to be a "Conference Within A Conference". It will be open during the concurrent breakout sessions and Meet the Pros (closed during keynotes and meals). The room has a variety of activities happening all at once, and a coffee shop style area where you can sit and relax or have a small conclave to share ideas with a new friend. There will be a small stage that has something different happening each day (15 minutes TED Style talks, a PowerPoint Master Class, "Speakers Corner", or short skits and talks from the Youth Conference Attendees). There will also be two discussion areas... "Ask the Experts" and "NSA Tech Lab Discussions"). Plan ahead to participate in the Learning Lounge. Space is limited, and you do not want to be turned away!!!! *** NEW - Eliz Green has jumped in to fill a slot on the small stage on Monday (for a speaker who could not come). She will be talking about the Deadly Sins of Speaker Websites!!! *** NEW - Jim Rhode will be hosting and "Ask the Experts" table on Monday!!! *** THIS JUST IN - Artist and Speaker Richard Hight will be custom painting a work of art live in learning lounge. Wait until you see the one of a kind special painting... and be sure to come see him work his artistic magic on the canvas. If you love the painting you can participate in the silent auction with money going to the NSA Foundation. This new option at the convention has shaped up to be an incredible line up of speakers who are here to share their expertise. Do not miss out on The Learning Lounge.... as it will be a great place to learn, connect and contemplate. Special thanks to Hayley Foster, Gina Carr, and Jolene Jang. ****The inspiration for "The Learning Lounge" came from the 2012 PCMA Convening Leaders Conference in San Diego. Jeff Hurt and Dave Lutz of Velvet Chainsaw organized a large scale Learning Lounge program. I had the good fortune of being part of their event. NSA has adapted the concept. "If I were a Locksmith... I would be a member of the National Locksmith Association"
I was talking with a client last week about ways to build their business, brand, and community visibility. I asked them about their participation in the local chamber of commerce and their industry association. They quickly balked at both, saying they had "paid dues for one year to both organizations, but got nothing". Well DUH. 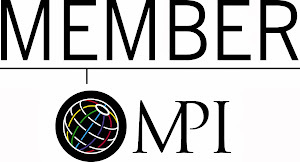 Chambers of Commerce of Trade Associations are NOT leads clubs. If you think paying dues and being listed in the member directory will have any benefit you have been mislead. I used to work at the Austin Chamber of Commerce and have been a member (on and off) for several years. My wife also works for a member driven business organization. 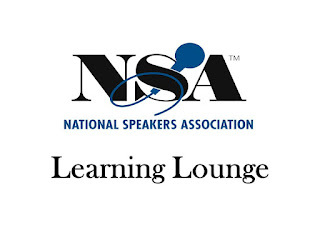 Plus I am an active member of the National Speakers Association (I will be speaking to the NSA Youth Conference this summer at the annual conference, and running the event's "Learning Lounge"). I have seen lots of benefits, directly and indirectly, from my participation in these types of groups. But I am a joiner, and if I was a locksmith I would be a supporter of the National Locksmith Association. Joining an Industry or Trade Association does not mean you will get instant clients. These groups are not designed to funnel leads to their members, but they do provide many opportunities that can be morphed into business if the member is actively involved and prepared to listen, learn and make meaningful contacts through networking. These groups are about the people. Since all opportunities come from people, without connecting to other members you are running away from opportunities. I had one professional speaker tell me she never joined NSA because associating with other speakers ("the competition") is not the best use of her time. She told me she puts her time only where potential clients are present so she can "get" business. Sounds one sided... show up where you can take... not where you can give to an industry's future success. If everyone just goes where they can take from others, then eventually nobody goes anywhere! Just saying. My business has grown because of what I have learned from NSA (and other speakers) and from referrals and introductions shared. 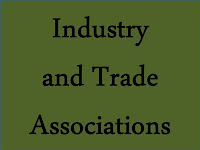 Additionally there are many association executives who are starting to ask their vendors (speakers, meeting professionals, transportation providers, etc...) if they are members of their own industry or trade associations,.... as it makes no sense for membership driven groups to hire vendors who do not support their own industries. They believe it is hypocritical to sing the praises of participation in member driven organizations while not supporting the cause of other groups. Now there is always the politics that pop up when you bring people together. In all groups there are those who feel shunned if they are passed over for accolades and attention. But I suggest never joining a group expecting them to honor you and you will never be disappointed. Instead join to learn, network and serve others. You cannot keep score in your participation (I helped twice, others only helped me once, etc...) as the time frame is impossible to determine. If you get pissed and storm out you might had done so just before your efforts delivered ROI. If you have not looked at your choices of groups that serve your industry in some time... take a fresh look. 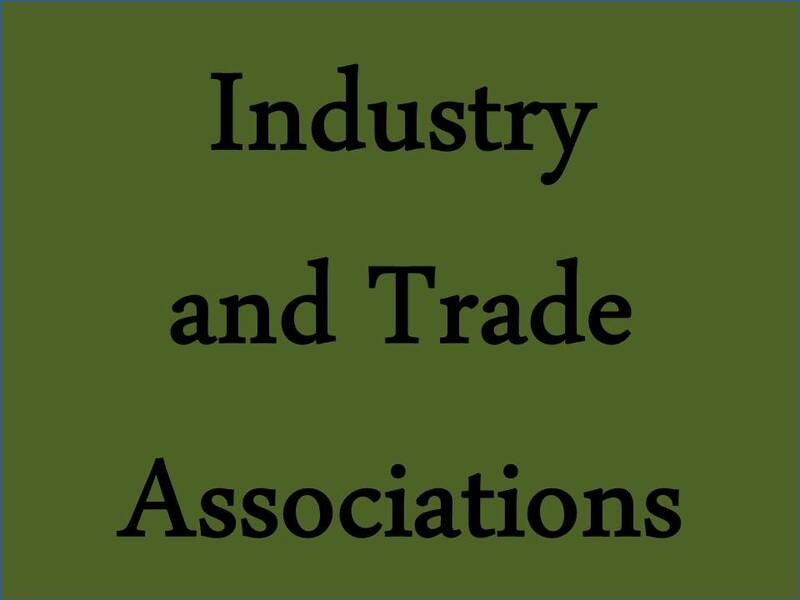 Join your industry or trade association and attend the national and local events. But do more than attend... serve the group in some way. Your investment comes back (as long as you are not keeping score!). 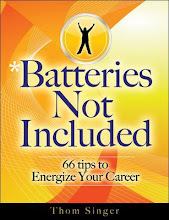 My friend Michele Price is a radio host, speaker and entrepreneur. She is undertaking an interesting project to pre-sell her #Braindownload program and using online fundraising platform Indiegogo. She wants to start a revolution of deep-thinking among entrepreneurs. She is seeking to raise $7,500 in a pre-sale of her #Braindownload Program to help spread her life-altering work internationally. She has turning to regular folks to raise support for this entrepreneurial movement. In exchange, she is offering a digital #Braindownload audio book. Indiegogo is fixing the funding process by removing the middleman and empowering people from all over the world to accomplish extraordinary things through their platform. In 2008 they unleashed Indiegogo in the independent film industry and it was a smash hit. In 2009, they expanded to include all industries and now they are the leading international crowdfunding platform, having raised millions of dollars for thousands of campaigns worldwide. I love the idea of Indiegogo... and have been interested in utilizing this platform for a project. I have not found a project yet that I want to launch, but Michele Price has jumped in. She has already raised $610 in just a few days, with a goal of $7500. Good luck to Michele. We will be checking back to see how this fundraising project succeeded and where her program goes in the future. A person posted an article about "A Lesson in Saying No" by CC Chapman to the National Speakers Association LinkedIn page. 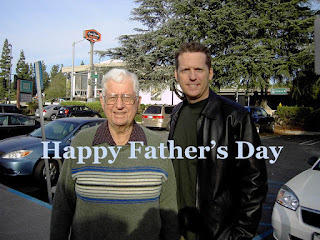 I clicked through and read the post on Mr. Chapman's blog. He referenced something called the "Hell Yeah! test"... which caught my eye. This linked to an article, "It's Either Hell Yeah! or No" by Derek Sivers that was written in August 2009. Both articles (linked above) are worth reading. If you are someone who seeks ways to better handle you time commitments... then a set policies of when and how to say "yes" or "no" are valuable. CC Chapman starts his post by talking about a meeting professional who stated they do not compensate speakers because they can get others for free. He declined the offer to speak. But this article goes way beyond speakers.... As many people are often asked to give up their time (and regular fee) for no compensation to a for-profit business. I once asked a meeting organizer if she had requested the conference center at the hotel for the rooms, food and AV equipment for free. Her response was one of shock.... she would NEVER ask for that. She was confused as to who would ever consider that request (she missed my point). My first question when someone from a not-for-profit group wants to waive my speaking fee (and this is for local stuff, as I cannot usually be away from my home without receiving my fee, as my wife and kids have a value too!!) is "Have you paid any other speakers in the last 24 months". If they have, then I will decline the offer to present.... as if they value others and not me it just hurts my soul. I have talked before about being open to opportunity. You cannot be so locked down and worried about protecting your time that you say no to everything that crosses your path. We must allow for serendipity or we miss out on many things. I am usually open to meeting with people for coffee who approach me as I love meeting people and discovering their stories. But as part of my business I also offer career coaching for a fee... so I must look at the line between when someone is seeking a win / win conversation and when they are seeking free consulting. I had a friend agree to help me out with a small project that became a big project. While he did not bill me for his extra time, I did understand the value of his time that was provided to me at no cost. I am working hard to even out our exchange by providing my services to assist his business. It is okay to ask someone to waive fees, but only if you recognize that there is a true value. 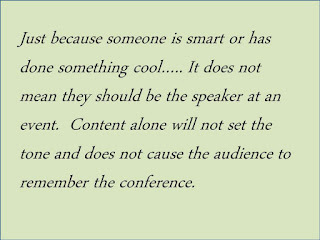 Too often speakers are asked to present for free with the thought that the "exposure" to an audience has value. The reality is that sometimes "exposure" is worthless. Before offering something in exchange for a waived fee.... be sure you have audited what you are offering or the person may not get that "Hell Yeah!" feeling. 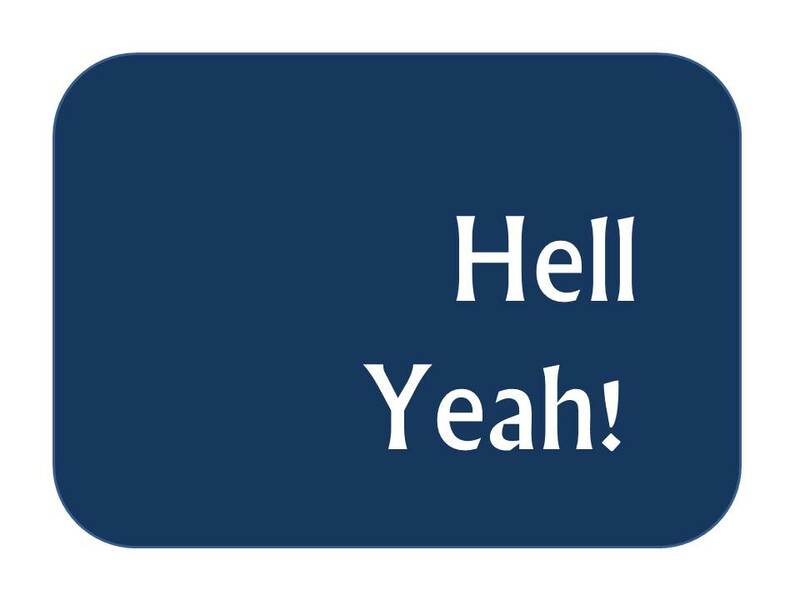 Sometimes your heart screams "Hell Yeah!" - and that is exciting! This is now very clear and I know what that means. I am inspired after reading Mr. Chapman's and Mr. Siver's articles. 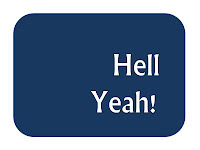 As I think about the times when my gut was not in line with the "Hell Yeah!" theory I usually recall mundane results. How about you? From my participation in the ABJ's Social Madness Contest I have learned some interesting stuff about how social media connections are moved to action, or not moved to action, by Twitter, Facebook, LinkedIn and Blog posts. I was one of the top 8 local small companies in the kick-off round. But the scores got wiped clean when we moved to the bracket rounds. The number of follower sign-ups on Twitter, Facebook and LinkedIn carry forward. As I go into the last days of the first bracket round I am behind by 218 votes and sign ups. I need your help to stay in the game. Please vote. Then follow my business on Facebook and LinkedIn. Finally... TELL OTHERS. I have no chance of moving forward unless I have some evangelists. I heard from a meeting professional today who was interested in having me speak at an association conference in the fall. We had a delightful conversation and it looks like I will keynote her event and serve as the "Conference Catalyst". I asked her how she heard about me (I always want to know what sparked the initial conversation) and she replied that she had seen me speak five years earlier (and she knew the event and the exact date!). It turns out she continuously compiles a detailed file on speakers. Every time she sits through a presentation she fills out a form about the speaker and makes notes on what she liked and the type of event where the speaker would be a fit for her organization. Same thing if she hears of a presenter through a referral. Her information is not digital, but sheets of physical paper in a file. She prefers to have handwritten notes and any of the speaker's printed materials on hand for easy access. She believes it makes it more tangible when she reviews the information in the future. She said that she now has over 100 possible speakers in the file, and when her association has any events they go through the pages to see who catches their collective eyes. She has been collecting names for ten years, and says that when the time is right the correct speaker is never forgotten. Without the file she would be starting over every time. I was fascinated by her long-term vision about speaker selections, as I had not heard of anyone looking backwards to find the right speaker in this manner. She confidently shared that this method keeps her from hiring "flash in the pan" speakers, but instead ones who have longevity in the business. I like this idea, and hope that if others have a similar system that I am in the mix waiting to jump out and catch their eye in the not too distant future! 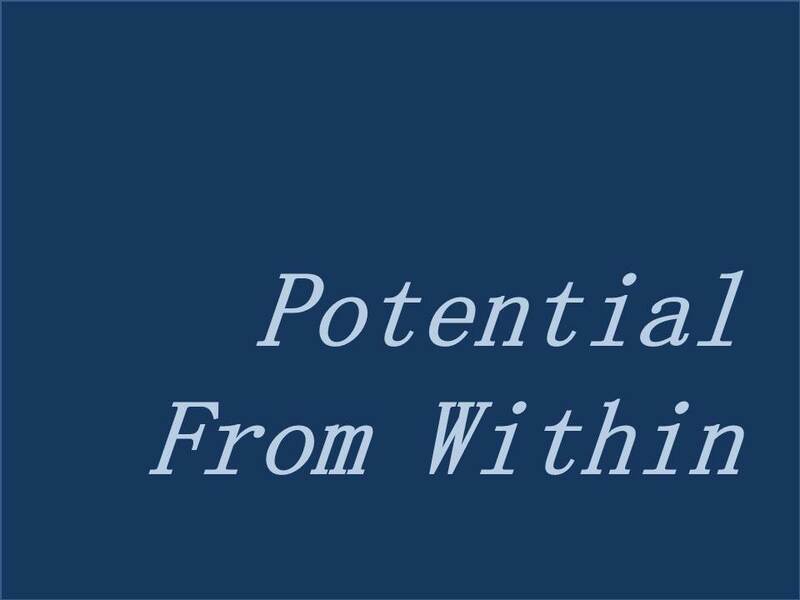 Making Things Happen In Your Career - Your Potential Is Bigger When You "Choose People"
I had a conversation with a professional who has the potential to be HUGE in his industry. He has experience and a track record of success. He is smart and has ambition. But he needs focus. To really achieve his goals he needs to tap into his inner potential. All of us have hopes and desires. 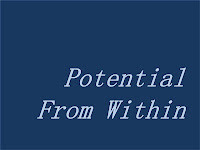 Each of us can get to the greatness we desire but not if we are waiting for it to show up through some outside force. We must focus and take actions to get to our best selves. Hoping or wishing it will come about is not the right strategy. I have found many give up too early. When faced with adversity we back off from going for the goals that we claim to be chasing. I know that I have been guilty of this. By quitting too early we never know if we could have come face-to-face with destiny. People who support us and encourage our dreams are necessary if we are going to keep going when times get tough. Cherish your friends who are willing to push and pull you toward our inner abilities that are screaming to get out into the world. Do not fall prey to thinking you can do it all alone. We need to "choose people" early and cultivate meaningful relationships so that others will understand our potential within. It is unfortunate that it is hard to find people who will really care enough to take actions that encourage you. True friends are not easy to find, as we live in a world where too often "self" is the priority. But don't give up, as there are givers out there who want your friendship..... but you must discover them. When you find the "right" people, invest in knowing and supporting their goals, dreams and inner potential. Assisting each other is a pattern of circles that lets everyone live up to their potential. It is "Cooperative Significance" - and does not happen by accident! The internet and social media are wonderful tools that connect the world, but sometimes there is just too much stuff. There is competition for attention, and many who would have been celebrated for their relevance in their communities a generation ago seem to go unrecognized. We are often confused about what is relevant. If you watch one episode of any show starring a Kardashian it quickly becomes concerning that society has lost sight of what is really important. Now, we can pick on Kim K all day long... but her family is everywhere and has all the media attention they desire. But have we really lost sight of what is relevant in every area of life? I spoke at a meeting recently and an audience member came up and told me that the talk was "surprisingly relevant". He had arrived to hear my talk with a preconceived idea as to what I would be saying about the power of business relationships and "choosing people". He was pleased with the relevance of the presentation to his life, but it made me wonder how often we all pre-judge everything. When we pre-determine our opinions, it often means we skip things that could be very relevant and we never know it. I do it. You do too. We make assumptions about all sorts of things and push aside those things we determine are not relevant. But few people do things without the desire to be important to those they serve. Are we being fair in our categorization of everything? Is there enough time invested in really understanding? 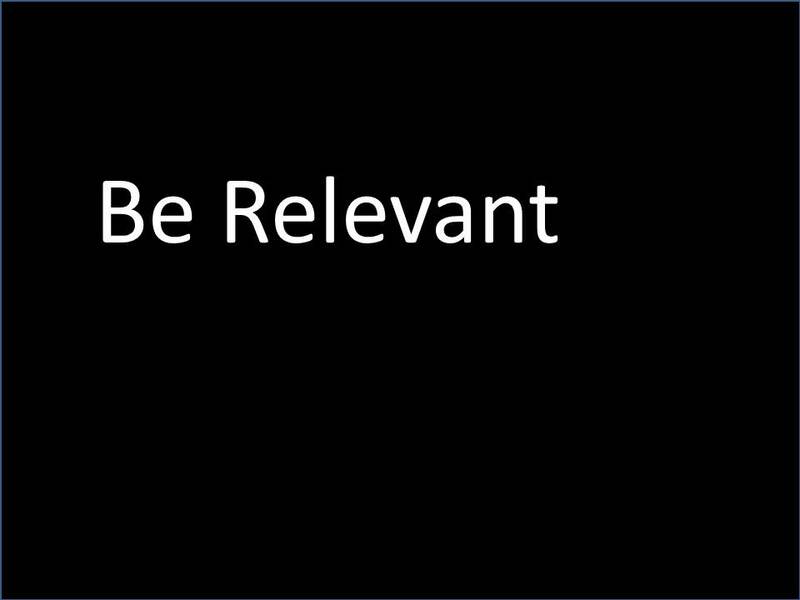 What can we each do to be relevant in our own business community? Are we being honest about how people are pre-judging our own efforts? 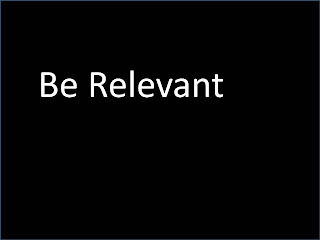 I do not think relevance happens by accident, nor should we accept that it does not matter. It matters. 1. Ask questions and listen to the answers. You cannot assume that your own assumptions match with the opinions of others. 2. Do not copycat others. If you are a commodity, you will never stand out to anyone. 3. Focus on people besides yourself. When others know you care about them, they will care about you. People want to know that you are respectful to their needs, not just your own. 4. Provide extra value. If people expect three ideas, give them four. When you go a little further than expected it makes an impact. This makes me think.... maybe the Kardashians are relevant?... Ummm, or not. He is 97-years-old and I am always amazed to think about all he has seen change in the world over nearly a century (Think about it... he was born only 11 years after the Wright Brothers flew at Kitty Hawk). Wishing all the dad's out there a wonderful day!! The economy is still in flux. People are still worried about their careers, money and the future. But one thing never changes.... "All opportunities come from people". Are you doing the things necessary to create and cultivate meaningful relationships in your personal and professional life? Do you wonder why some people seem "lucky" in how they attract opportunities? There is a connection. People matter.... and when we choose people we always are victorious. 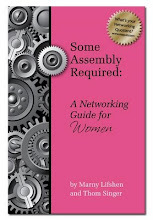 For years people thought that the topic of "networking" was a bit fluffy. When I first began to write and speak on the topic there were those who claimed it was not that important enough for companies to want to pay for training on the topic. Technology was going to replace the face-to-face world of meetings, and a LinkedIn connection would be all one would need to gain access to others. But after the past few years of recession, the power of business relationships has become more clear. Fortune 500 companies and main street entrepreneurs are investing in learning how to do a better job of building visibility withing their communities. Nothing replaces the feelings that are created when we know, like, and trust others. It used to be that getting to know somebody was a process. Now we just assume we know them because we have read their social media profiles. Without the time investment in knowing others, we fill in the blanks with assumptions. This sets us all up for disappointment. 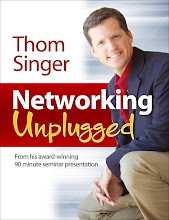 Networking is a "hot topic" for keynote and breakout presentations at conferences in all industries. 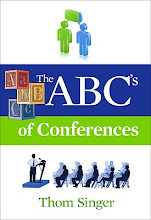 All seasoned meeting professionals know that people want better networking at events... but there is not one answer to the "best" way to get people to connect (at conferences or in day-to-day life). Simply throwing people together with an open bar is not enough to bring results. Goofy ice breaker games can work, but sometimes they turn people off from the whole idea of networking. Not all ice breakers are bad, but none are magic bullets. However, many are just silly. You need an integrated approach to get people to embrace making connections. 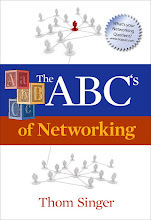 Networking is the creation of long-term and mutually-beneficial relationships between two or more people where everyone involved succeeds more because of those relationships than they would have without those connections. Who honestly does not like long-term and mutually beneficial relationships? But we still struggle to get people to invest in discovering and serving others as part of the process. Too many fear rejection or worry about the time involved to establish these connections. There are hopes of being "discovered" by some well connected people and a powerful network is just arrive, but that will not really happen. Few things worthwhile happen without planning, focus and taking actions. Creating a network that brings opportunity is no different! Is this topic important? What do you think? I enjoy seeing anyone fulfill their goal of writing a book. 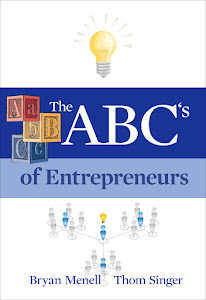 Bill Leake is an entrepreneur who has been a good friend for several years and I just saw an announcement that his book is almost ready to ship! COOL STUFF. Bill is one of the people I remember most from when I released my first book. He was so supportive of my efforts and excited about my accomplishment. He praised me for completing the project, and I appreciated his genuine friendship. He wanted complete a book project, but at the time he had a new start-up and seven children.... Let's just say he had a lot going on in his life! 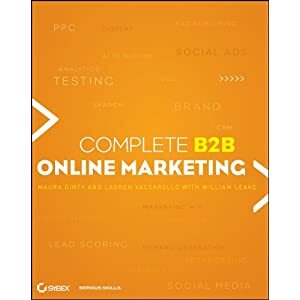 Bill's first book, "Complete B2B Online Marketing" is now available for pre-order on Amazon.com and will be released in July. Congratulations to Bill Leake (and his co-authors Maura Ginty and Lauren Vaccarello). Only a few days left to vote in the Austin Business Journal "Social Madness Contest". I am currently in 4th place (Yeti Coolers has one big lead). Today one of the companies in the contest posted this humorous video mocking the competition (including me). It was clever and interesting.... but would it get your vote? Thanks for your support and your vote. I am fortunate that I really enjoy what I do for a living. I take pride in being a professional speaker and corporate trainer. I am involved with the National Speakers Association, and take an active role in the meetings industry when possible. Yesterday I delivered my 25th presentation of 2012 (over 300 in my career). While some people do not enjoy talking to groups, I am always excited that I have created a career as a speaker. When it all comes together I can have transformational impact on an audience and it is always a pleasure to work with a variety of meeting professionals. Being part of the team that makes a meeting successful is very rewarding. While there are dozens (sometimes hundreds) of people who contribute to pulling off the details of an event, the speaker has the ability to set the tone for the whole conference. It is not a responsibility I take lightly! My goal is 50 talks each year, in addition to training, consulting and coaching. Several years ago a mentor told me that 50 is a big number to work toward, but was realistic if I was serious about the industry. This will be the forth year I have exceeded this goal. Best of all.... I am having fun. When you enjoy your job, it is never "work". There is something energizing about knowing you are in the right profession and that you make a contribution. 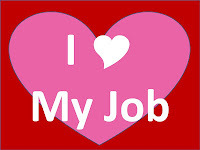 How about you.... do you enjoy what you do for a living? Many of my friends in the meeting industry are just down the road in San Antonio at the PCMA Education Conference. (Austin is only 70 miles away). I was going to go visit with some of them while they are in Texas, but I am speaking three times this week in Austin (once is a webinar, but need a stable internet connections, so traveling is not always the best idea). I am not complaining... as speaking is what I do, but it is fun to get to go to events like this when they are close to home! One of my favorite people asked me for some networking advice, as she wants to maximize her time at the event, and knows that while education is the purpose, it is the people you meet at a conference who can make or break the ROI. 1. Even if you are an introvert, instigate conversations. Introverts are really better networkers once the conversation gets going. They ask more questions, listen better, and seek the ways to connect the dots for others. I encouraged her to get past the butterflies and meet two new people at every break, meal and happy hour. Also, each time she walks into a keynote or breakout room, I urged her to talk to the people next to her before the event begins (as opposed to burying her face in her phone). 2. Remember that "Hallway Conversations" are when the best learning takes place. Just hearing a smart person share information does not mean the message sinks into your brain. Talking about what you learned with others, and adding your own thoughts (and hearing the other attendees interpretations) are key to making learning stick. The sessions all have "learning objectives", but your chats with others are just as important and should have learning goals attached as well. 3. Do not sit with co-workers or other close friends. I know that conferences are a great time to chat with those you love, but you will get more out of the event if you tell them to go sit at different tables for lunches and dinners. When you split up you each will meet different people. Later you can introduce each other to the coolest people you encountered, and double your networking. 4. Follow up. Meeting someone once does not make them part of your network. A few words in the hallway at the PCMA event is not a long-term and mutually beneficial relationship. As you meet new people be sure to look for a purpose to follow up with them at a later time. I wish I could be in San Antonio this week, as I had a great time at the PCMA Convening Leaders event in San Diego (in January). Oh well.... next time! That is no reason not to pursue your dreams and it is no excuse to let what is said in the media keep you from trying. We are nearing the half-way point of 2012. There is still plenty of time to make amazing things happen in your career before we meet the new light of 2013. Need coaching? There are many people who you can work with to assist you in finding direction. Want to work with me? I offer a "Mini-Coaching Blitz" to get a grasp on goal setting, LinkedIn, and your overall visibility in your community (I can also tailor this to focus on presentation skills, if that is the area you need a boost). If you desire a stronger focus on visibility, personal branding, networking activities, and developing a strategy for the 2nd half of 2012, this "mini-coaching blitz" might be an ideal chance for you to fine tune your efforts in time for the new year. *Two one-hour meetings (by phone or face-to-face if you are in Austin). Plan 90-minutes for each meeting, as there is a lot to talk about! *LinkedIn Review ($250 value). I will look over all aspects of your LinkedIn profile and make suggestions to increase your effectiveness. The value price for this mini-coaching program is $795, but for a unique summer opportunity the investment is only $375. Both meetings must be scheduled between June 15th and August 30th (with a minimum of 7 days in between). The meetings are one hour in length, but may run longer. Email responses will be provided within 48 hours (usually within 12 hours). I have the availability to work with ten individuals (8 spots still available). If you are interested, please contact me by email or phone ASAP. *Review of LinkedIn and discussion about how to best utilize this business tool and other social media as part of your integrated visibility strategy. 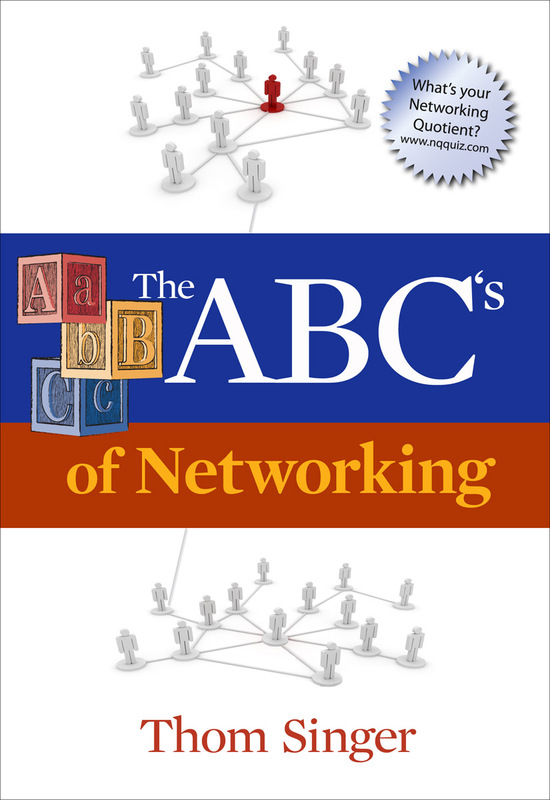 *Identification of networking organizations in your business community and a plan for how to maximize your time and financial commitment. *Goal setting and integrated visibility plan. I very much enjoy watching and listening to a great speaker at a conference. I have spent most of my life learning my craft by observing those who take the stage. I created "Speaker University" in my own mind over 15 years ago, and I promote anyone who is addressing an audience to "professor". I learn as much from the speaker's ability to connect with an audience as I do from the content they deliver. Not matter if a speaker is good or bad, you can learn something from them. But nobody comes to a keynote or breakout session hoping the presentation is awful. We all want the speakers to have some skills in how they speak. Audiences love it when they are moved by a speaker. They hate it when the presentation drones on and on without any purpose. Then why do so many conferences come up short? Because the method for speaker selection is not in line with the purpose. Too many speakers are selected because they are smart or have done something cool. Little time is invested to discover their level of experience presenting. Additionally, too many organizers fill speaking slots with vendors or others who are their to promote products and services. Some think "Content is King".... but I disagree. If people only desire content when they attend a meeting they can stay home and read a white paper. I believe people want inspiration, explanation, and motivation in addition to content. I hate it when people raise the argument of "content vs. motivation"... as there should be both. It is hard to define what makes a good presentation, so people hide behind the desire for content. Author Cory Doctorow said it best, "Conversation is king.... content is just something to talk about". Speakers need to do more than just speak. They need to engage the audience to think and feel. Without some type of movement, there is just words being tossed out to those in the chairs. The new style of speaking is conversational. This does not mean it is always interactive, but the days of a speaker being the expert who preaches knowledge to an audience are past. The best speakers seem to talk with the crowd, not to them. You can feel the energy level shift when a speaker connects with the audience. Without this connection the tone of the whole conference can be "blah". In the planning stages speakers need to be vetted and their experience with moving an audience discovered. Calling yourself a "speaker" is easy (and in today's world common), but there must be something real behind the label. 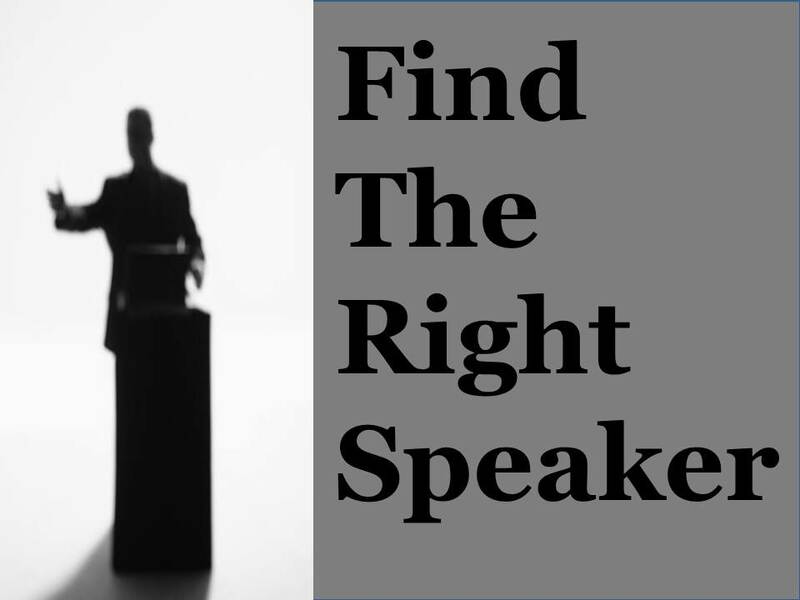 How can you discover if a speaker has the right ability? It takes a lot of time. It is easier just to hire anyone who has a pulse. Really vetting means attending a lot of events with an eagle's eye on watching speakers for both content and style. It requires many phone calls to others who hire speakers to learn who they have had on their stages. And it requires taking risks. Sometimes the best speaker is not an industry leader or celebrity in your field. 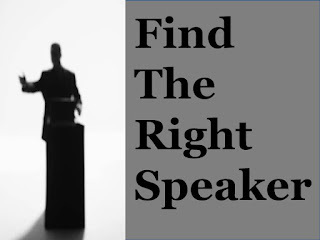 To find the best speakers for your events, you must be looking for them all the time. 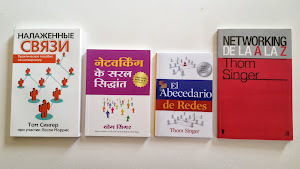 In the 60+ presentations I delivered in the past 12 months, few came through an internet search or other random connection. Almost every single time the client found me from word-of-mouth (once removed) or they were in an audience where I was a featured speaker. Many association have "Power Cliques" who dominate their conventions. These closed groupings of people who are not open to meeting new people and networking can harm the feelings of how others perceive their attendance experience. 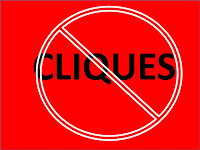 Sometimes the cliques are even promoted by the association itself by creating VIP and board events that are publicized, but not open to everyone. It is no fun to have your face up against the glass looking in at all the fun. While those in cliques usually feel there are no issues, people who are not part of these exclusive inner circles often have negative feelings about the ways the "mini-society" at a conference can leave them feeling like they are traveling second class. At high school reunions the former "popular crowd" will often revile how their school days had no cliques... meanwhile those who were not at the "cool kids table" have a very different memory. The same is true at meetings. 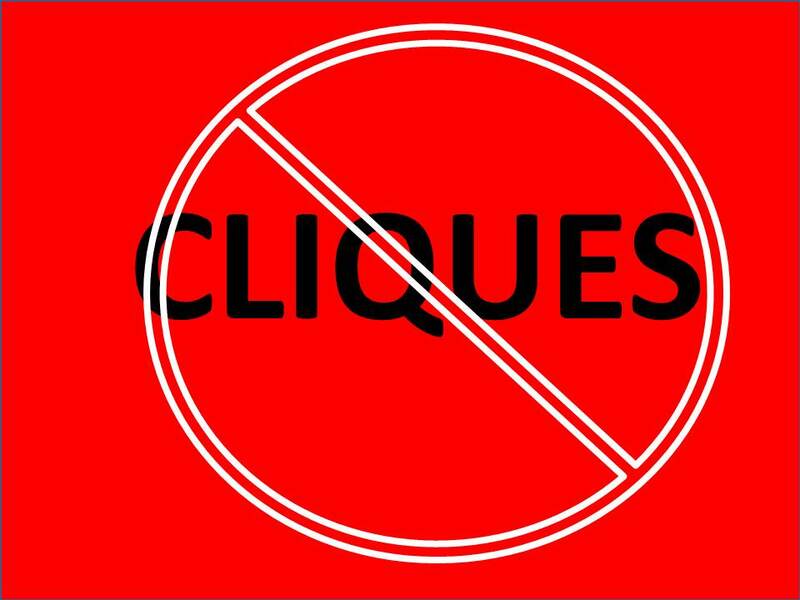 I talk many who plan events who are very aware of their "clique problems", but feel they are stuck catering to the power players. If you have cliques in your association... do not ignore them, talk about the elephant in the room and make it unacceptable to not be inclusive. When the culture of the association changes, these closed off groups will either move on or open up. When I talk about cliques I get a lot of interesting responses. What do you think? Failed To Plan. Not So Bad.